Toby Hynes has been in the games industry for 20 years. Before this he was an in-house artist for Games Workshop and transitioned into games initially as a concept artist. 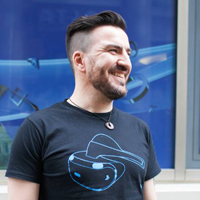 For the last 12 years he has been leading teams of character artists at studios such as Codemasters, Climax, Sony and Radical Entertainment in Canada.